A new year brings a slew of resolutions and opportunities — and travel is at the top for us. But whether your plan is to take a fabulous honeymoon, plan a romantic getaway or a trip with friends, or just be ready to hit the road at the right opportunity, now is the perfect time to make sure you’re ready to go international when the time comes. Many people don’t know this, but just having a valid passport isn’t enough to ensure smooth travels, and there are multiple reasons that a country can deny entry to someone holding a seemingly valid passport. Here’s what you need to check, asap. Expiration date. This seems like an obvious one, but it’s not. Why? 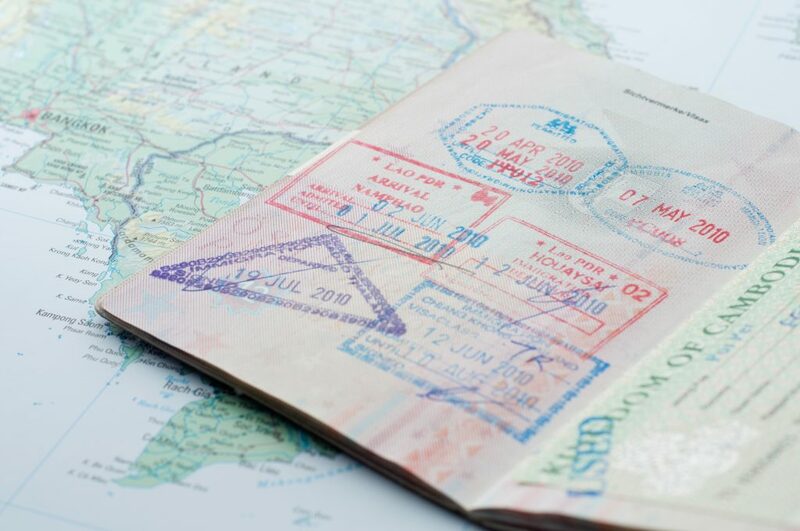 Most countries not only require a valid passport, but they require it to be valid for at least six months after the date you intend to leave that country. Which means you can plan to fly to Italy with three months left on your passport and still be denied boarding, or worse yet be denied entry at the border and have to turn around and fly home So if your passport is expiring any time in 2017, now is the time to get it renewed! Blank pages: Most countries issue visa stamps upon entry, leaving you with those pretty stamps to fill up your pages. But just like with expiration date, there’s a catch, and having one blank page left isn’t enough to guarantee entry. Many countries require that you have multiple blank pages available for visas. It changes from place to place (South Africa requires at least two), so I always make sure I have three or four blank pages, just in case. It’s well worth it to avoid being denied entry, not to mention avoid getting the stink-eye from a cranky immigration agent who’s tired of flipping through your passport in search of a blank page to stamp. With the upcoming enforcement of the REAL ID Act, which requires federally approved IDs for boarding of domestic flights (among other things), more people than ever are expected to apply for passports this year. Which means there will likely be delays. Our advice: If you need to renew, do it asap. The U.S. Department of State has all the info you need on renewing your passport or in person, or applying if you’re a first timer. They even have a handy checklist of other pre-travel tips.